“But we also talked with the coaches about the ability to sprint again. The priority is clearly given to the leaders but the season will be long and there are many one-day races." Francisco Ventoso got much attention at Paris-Roubaix this year. The Spaniard who suffered a very nasty wound, a deep cut in the leg because of a disc brake. The incident created a sharp reaction from his fellow riders who claimed that disc brakes are real machetes launched at high speed and ultimately led to them being banned. 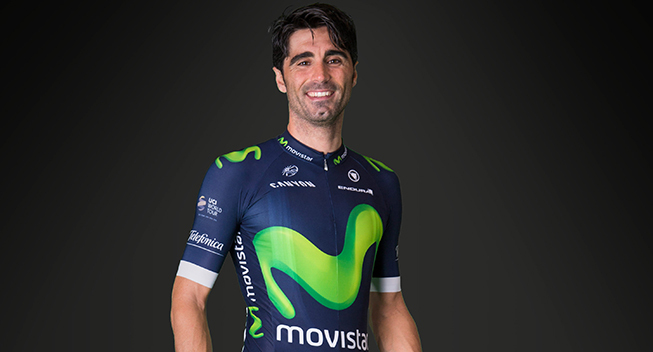 Ventoso has put this story behind him and now has a new challenge: to join the BMC team after six years at Movistar. Ventoso will celebrate his 35th birthday in May and has not won since 2012. Back then, he won the ninth stage of the Giro and became nation champion. He likes the Flemish classics but he has never achieved a notable result and in a Movistar team without a leader and without ambitions for those races, there was not much to hope for. At BMC, Ventoso will play a bigger role in the classics even though he will no longer be a leader. "The first objective will be to help Greg (Van Avermaet) in the classics," Ventoso tells ciclo21.com who adds that his main goal in general is to support the leaders. “But we also talked with the coaches about the ability to sprint again. The priority is clearly given to the leaders but the season will be long and there are many one-day races. Now with the new points system, it will be necessary to perform in more races. I hope to benefit from these circumstances."